I love the fact that we can be in all four corners of the globe and still get to stitch together and feel no pressure to 'perform' whatsoever and yet know we can progress on projects with the gentle encouragement of our cyber friends, don't you? I got a little bit done but was distracted with a movie I was watching called "The Mountain Between Us"
The movie is one with Kate Winslet and Idris Alba and is a 'plane-crash-in-the-mountains-survival-type' movie but I really enjoy those kinds. A bit of a chick-flick, feel-good, everything's right in the end movie. If you like those sorts of movies too and you can get a hold of it, it's well worth the watch. 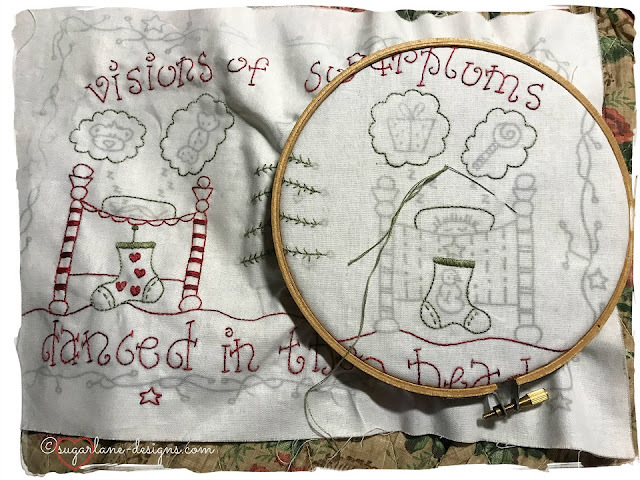 My progress for the night consisted of a bit more stitching on block 4 of my Fig n Berry Creations 'Twas the Night Before Christmas' stitchery. I'm really enjoying stitching these blocks up in my two colours of Cottage Garden Threads. I'm going to make sure I use a colour catcher when I eventually wash these as I know they are prone to running and seeing as I didn't pre-wash the cottons, I'm prepared for it *fingers crossed*. I also made an infinity scarf. I'm part of a Fat Quarter Shop Quilt-a-long and I'll be sharing more on it later on in the week. 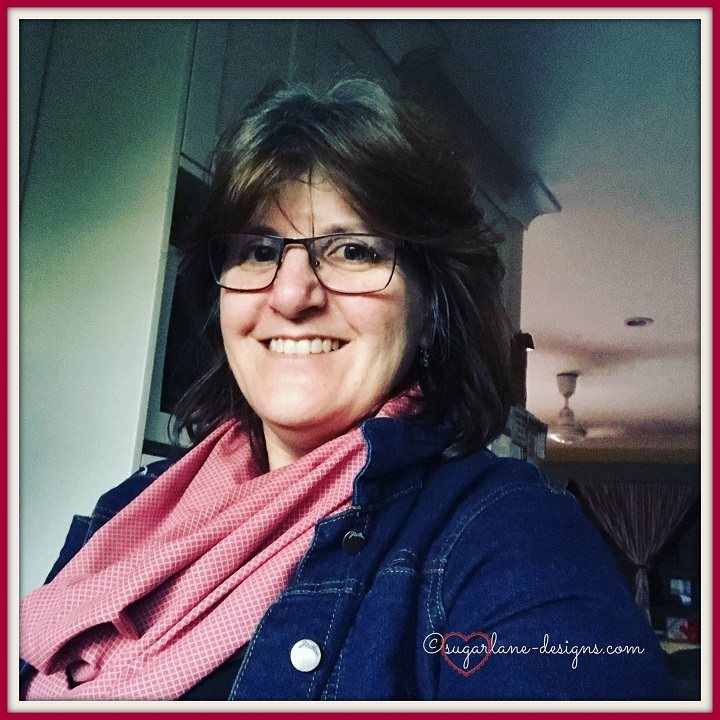 You can check out some photos on the FQS links on my Instagram page HERE but here is the scarf I made....and it only took 30 minutes (truly!). but seriously, I was really happy with how it turned out. Keep watching this space.... I'll tell you more about it on Thursday. 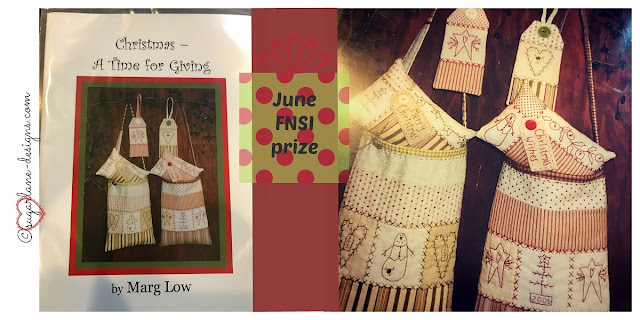 In the meantime, I'm sure you'd like to know who our winners are for this month's and last's FNSI? Catch up for me with prize draws, and seeing as it's July and despite not having drawn June on time, I thought we could do both with the Christmas in June/July theme. And the winner is... Narelle - Qld, Aus!! Congratulations Narelle, your prize is...…..
A gorgeous Christmas pattern by Marg Low called "Christmas - A time for Giving". I hope you enjoy it! And the winner is... Sue H in USA!! 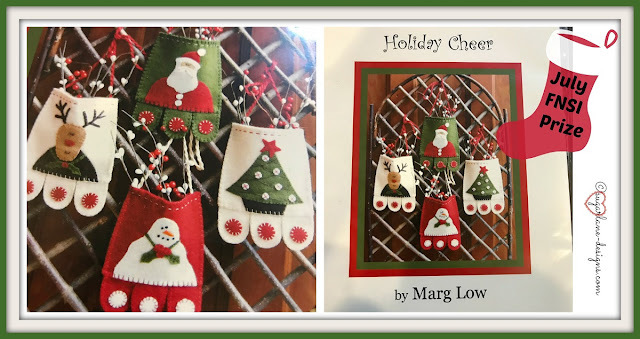 another Marg Low design called "Holiday Cheer". A great one for gift giving, that's for sure! 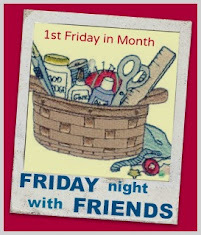 Thank you all for joining in for another month....next month's FNSI will be held on the 17th August with sign ups starting on the 13th, so don't forget to pop the date up on the calendar. I'm already looking forward to it! Looks like a great chick flick...Nice Christmas 🎄 stitchery. Congratulatoins to Narelle and Sue! Your Night Before Christmas block is a pretty stitchery and I look forward to learning more about the infinity scarf. Great scarf and pretty stitchery. Congratulations! I still have to show, what I've done on my blog. But I showed it on Instagram. 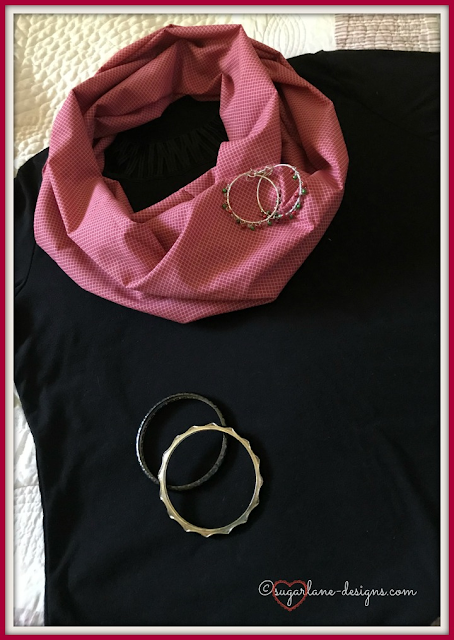 The scarf fürs perfect!